Foods we choose to eat can detour outcomes for better or for worse, including the fate of the gut. Gut health continues to grow in interest, as supporting and nourishing a healthy microbiome has been shown to improve both physical and mental wellbeing. Keep the gut healthy by dismissing these five foods. Highly processed and refined foods, including bagged chips, pastries, and other snacks, are among the top contributors to poor gut health. Packing on diverse additives and lacking beneficial nutrients, such products may wreak having on the stomach, lead to inflammation, and increase the risk of weight gain. 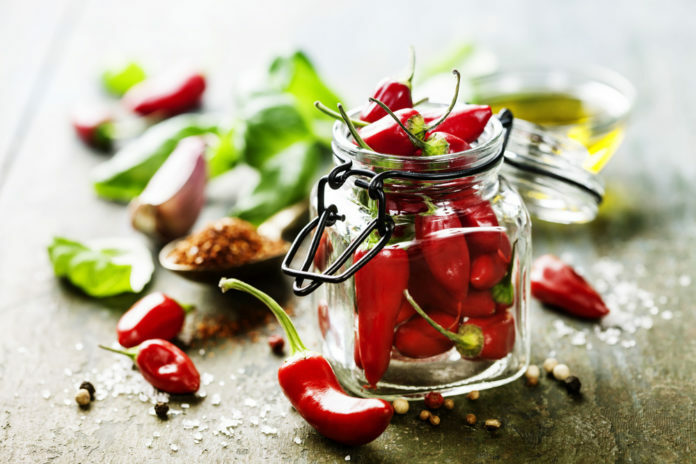 Although not necessarily targeting jalapenos or a mild hot sauce… But pointing out those overly spicy foods that can irritate the stomach lining and lead to more damaging consequences later down the road. Stay cautious of over-the-top spicy foods, including habanero peppers and curries. The grease from fried foods is worrisome from the get-go. Sure, a fried chicken strip may taste good initially, but the oil chicken becomes drenched in may provoke serious tummy trouble. First off, fat takes longer to digest compared to carb and protein, which can cause discomfort shortly after eating. Although unsaturated fats have shown to be healthful, a high intake of fat, especially saturated and trans fats, can trigger inflammation. The artificial sweeteners and sugar substitutes replacing refined sugars in sugar-free products may provoke gastrointestinal discomfort. Additionally, the products tend to be loaded with fats, oils, salt, and other undesirable ingredients to compensate for the eliminated sugar. While alcohol is not necessarily a food, it deserves great mention, as too much alcohol may lead to more than just a headache. Heavy consumption may cause damage to the stomach lining, which may lead to malabsorption issues. Alcohol can also exacerbate symptoms of irritable bowel syndrome and cause diarrhea and constipation. It is recommended men and women get no more than two drinks and one drink per day, respectively. Along with the foods identified above, gluten and lactose and dairy deserve additional considerations. Although the controversy of gluten lives on, its elimination is absolutely critical for individuals managing Celiac disease and to subside unpleasant symptoms and long-term consequences. Additionally, individuals with lactose intolerance or a dairy allergy also benefit and require a dairy-free diet. A team of health experts can help identify whether or not a modified or elimination diet is right for you. Prebiotics are carbohydrates that cannot be digested and feed probiotics that are described below. The prebiotic and fiber content of asparagus, bananas, oatmeal, and legumes are beneficial for gut health. Probiotics are live bacteria cultures shown to support gut health by controlling the growth of harmful bacteria. Beneficial sources of probiotics include yogurt, sauerkraut, kombucha, and foods that undergo the fermentation process. When choosing any sort of labeled product, stay on the lookout for common probiotics (including lactobacillus and bifidobacteria) and deviate from highly processed foods filled with sugars and other unnecessary additives. Maintaining a healthy weight is beneficial for overall health, including lessening the risk of chronic diseases that may cause additional inflammation to the gut. Water plays a large role in digestion, further combating against constipation in conjunction with adequate fiber. General recommendations encourage individuals to consume at least eight 8-ounce glasses of water per day. As mentioned above, identifying food aversions can benefit the gut. 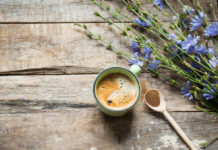 From recognizing a potential intolerance to lactose, an allergy to dairy, or an immune-mediated response to gluten, detecting such aversions and tailoring a diet to best suit your needs is urged. Alongside nutritional recommendations, staying active is one of the best habits for healthy digestion. Regular aerobic exercise can keep you regular and prevent against heart disease by improving circulation. Keep active by walking, hiking, biking, swimming, and other favorite ways to stay moving. Stress may disrupt and slow down the digestive process or cause a heightened, persistent feeling of gastrointestinal problems. Although some may experience this phenomenon more than others, dealing with GI issues during these moments can further increase stress. To reduce aggravated symptoms, practice stress-reduction strategies such as yoga, walking, dancing, and listening to music. Medications can have adverse side effects and disrupt or impair digestive processes while antibiotics can also harm and kill beneficial gut bacteria and take a year’s time to replenish. Identifying and regulating medications can assist physicians and dietitians in health recommendations to best accommodate personal concerns and needs. Brushing and flossing daily, along with scheduling regular dental appointments, can help promote a healthy mouth and digestive processes by maintaining adequate chewing practices encouraged for proper digestion.